Looking for a Home in the Omaha NE area? Finding the right home can be a difficult process. As a lifelong Omaha resident and full-time real estate agent, I will provide you with the resources and the Real Estate knowledge you need to make buying your next home a success. 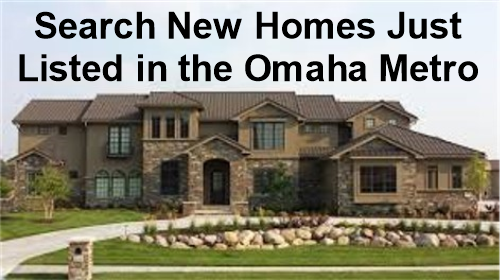 Thinking about Selling a Home in the Omaha NE area? An Experienced Real Estate agent will make the difference. I have been helping Sellers sell for the right price, in the right amount of time since 1986. Hi-Resolution pictures are extremely important. All my listings include photos taken with an Olympus Hi-Resolution Camera. Thinking about Buying or Selling Omaha Real Estate? Every Buyer and Every Seller has their own unique situation. Let’s sit down to discuss your situation and come up with a plan. You can count on my honesty and 32 years of Real Estate knowledge to make your move a success. I look forward to helping you make your move. Please contact me by Phone, Text or Email. Omaha Public School District – As one reviews the history of graduates of the Omaha Public Schools, there emerges an impressive list of accomplished leaders in all walks of life. They each can trace beginnings of their success to a classroom in this outstanding school district. Omaha was founded in 1854. The largest city in the state of Nebraska, Omaha is the nation’s 42nd largest city with a population of 427,872. The City of operates under a Mayor-City Council form of government. The mayor and the Seven City Council members are elected to 4 year terms.